Jane Kiano describes how the post election violence erupted in Kenya in 2008 and the formation of the National Cohesion and Integration Commission as a result of the brutal aftermath. Jane Kiano has been a pioneer in the woman’s movement in Kenya for 50 years where she has be instrumental in empowering women both socially and economically. Jane Mumbi Kiano was chair of MYWO Kenya – Maendeleo Ya Wanawake or Women’s Progress for many years and a commissioner of the National Cohesion and Integration Commission in later life. Within these and her many other roles Jane Kiano has persevered for nearly 50 years, spearheading women’s justice, peace & reconciliation in Kenya by bridging the social and political realms. 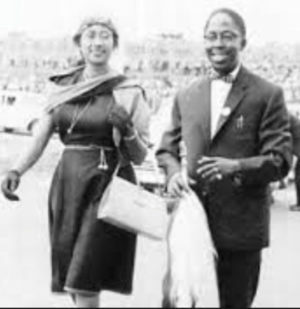 Jane was married to well known politician Dr Gikonyo Kiano who was a member of Kenya’s first independent cabinet under President Jomo Kenyatta and the first ever Kenyan to earn a Ph.D. He died in 2003, Jane and Irungu Thatiah have retold his life in a biography ‘Quest for Liberty’. Post election violence photos – courtesy of Pamoja.